Planning for an eShop? You respect your business and budget. You need pre-launch analysis, all the right eCommerce platform conversions tools, after development strategy and correct metrics in place from day one! 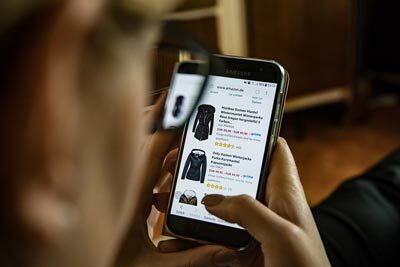 An eshop combines proper Search Marketing, Audience Analysis, Content Strategy and a thorough implementation of the correct tools on top of your eCommerce platform. We are consultants & developers! You need to know how people search for services like yours, in a world wide level, so you rank high in Google. Objective: People search for services and products using a variety of queries and keyphrases. To know this information with all the details it entails is literally “gold”. That knowledge will drive the vast majority of your marketing efforts and conversions. You need that knowledge before even writing a single line of code. What to do with that: With such info you know how to design your eshop, how to write your content, how to structure all information and how to run your marketing plan. Taking the research into practice, you can now build your eshop and take your marketing plan into action for conversions. Objective: To have a correct eshop that can respond on sales, with all the right tools in place from day one, with all metrics and funnels needed to catch sales, convert abandoned carts and build relations with customers. What that means? We build solutions that you can really control, regardless of how big or small your team is. You have an online store that is scalable, easy to track in all levels of sales and marketing, and really know “what is going on” in a constant and transparent manner. You need a way to extend and organize your eshop for more sales and opportunities. Objective: To organize an eshop and sales from it or organize multi-channel sales requires some operational knowledge prior building the actual “eshop”. Do you need this? Yes, you need it in different stages. Some services are needed in Research phase, while others in pre-launch and after launch phases. Contact us now to discuss the possibilities. No strings attached. Do you need eCommerce Services? Do I really need good planning before building my eshop? There are more like you out there. One of the reason their marketing and sales funnels fail is poor pre-launch research, wrong technology and implementation of marketing efforts with insufficient data. We can help you with all detailed data. Those who have the chances to succeed invest in good planning prior building any kind of eshop. Search Engines are the primary medium where people search for products and services with the immediate intention to buy. Social Media doesn’t offer such valuable insights. Ranking in 1st page of Google for relevant queries per country for the products and services you provide is absolutely necessary and cost efficient. Rank for targeted queries to get targeted audience. Do I need Pay Per Click marketing? Logically you mean actions related to Google Adwords, Social Media Campaigns and such, where you get charged when a users click on an advertisement. That will show up in the Research Part. If some keywords are really difficult to rank in 1st page of Google then they can be enhanced through such actions. We have done that for many clients, while building their Organic ranking. By the way, what is Organic Ranking in Search Results? Do I need that? You can’t exist without that. People search online for advisory and treatments and they use Google, Yahoo and Bing to see results. Ranking in Organic results means to rank in 1st page without paying for Adwords or such (which costs a lot per case and per keyphrase). Keep in mind that more than 40% of users have Ad Blockers installed in their devices, that cut off Paid Ads. So, how this Google Results ranking works? We do a series of actions to increase your individual website pages Domain Authority, for specific keyphrases, against Google. The good thing is that everything is tracked down: Both Actions and their Long and Short term results. In that way you have complete control on the process and you can instruct us to take actions whenever you want. Web metrics and marketing actions technology has evolved to allow that. Are there any risks involved when doing eCommerce content marketing actions? Do you provide good products and services? Do you want more clients? Then you can’t lose and there is no actual risk. If you want to attract clients that seek products or/and services like yours then this can be the most cost efficient way. Running such marketing actions is practically a direct investment to your business, since the Ranking Factors that are built, move your overall website services upwards.